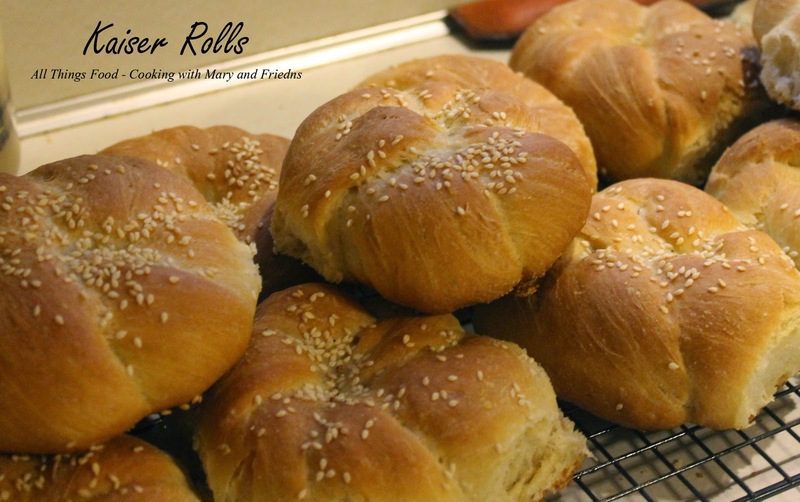 Because it is nearly impossible to buy a good Kaiser Roll, aka hard roll, here in the south, and my husband saw a great recipe for one posted on a Fairfield, Connecticut page (his home town), he saved it and emailed it to me with the question "well, what do you think?" Ferment this for 90 minutes at room temperature, then overnight in the refrigerator. Bring the cold starter up to room temperature. To make this a bit easier (and to make the mixing easier) just chop it up into a bunch of smaller pieces in a large bowl. You can use kitchen sheers, a dough cutter, or even a serrated knife for this. Let this sit out at room temperature for about an hour to warm up. Next, add all your dry ingredients for the dough (flour, salt, yeast) to a large bowl. Mix your wet ingredients separately (sorghum syrup, eggs, oil, water). Then add your chopped up starter to your dry ingredients along with your wet ingredients. Using a stand mixer, mix it on low speed with the paddle until it starts to come together. If dough is too wet just kept adding flour until the dough forms a ball which was about another 1/2 cup. Mix on medium with the dough hook (6-8 minutes) until dough has formed a ball and is no longer sticky, turn out onto floured board a knead a few times until dough is smooth; shape into a ball. Once your dough is ready, oil a large bowl and roll the dough ball in the oil to coat. Then cover it and let it ferment at room temperature until it doubles in size which should take about 90 minutes to 2 hours. To make really even rolls, it’s almost essential to have a kitchen scale so you can weigh each roll before shaping it. You can of course eyeball it, but your rolls are probably going to be a bit uneven. I went with a 3.5 ounce roll, and don't go larger than 4 ounces. Once you have your dough weighed, shaping them isn't too hard. They aren’t going to be all perfect, so don't stress that part too much. This is how I shaped mine. 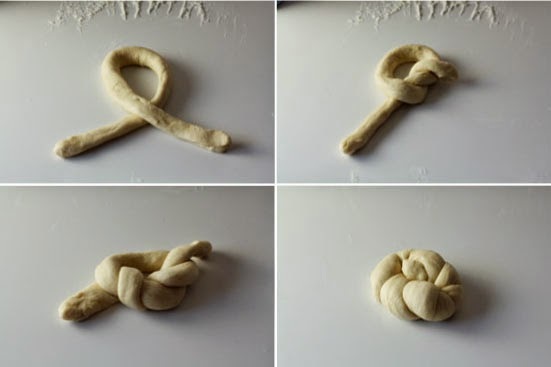 I rolled my dough out into a long strand about 18 inches long. Try to keep it as even as possible. It should roll really evenly. Just use your hands. Then take the left end and put it over the right end forming a loop (top left). Next, loop the right end through the center (top right). Do the same thing with the left end but in the reverse direction (bottom left). Then roll both ends through another time and they should basically meet in the center, filling the hole (bottom right). Once you finish one, add it upside down to a baking sheet lined with parchment paper or sprinkled with some cornmeal. 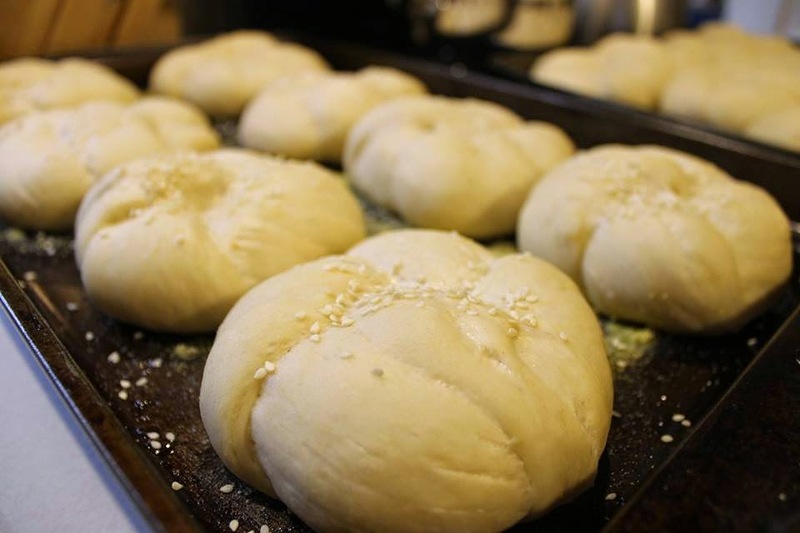 Once you get them all shaped, let them rise for 30 minutes, then flip them so the top of the roll is up and let them rise for another 30 minutes. Before baking the rolls, it’s important to spritz them all with water. This gives them that crunchy texture after they get done baking. Sprinkle on some delicious toppings now if desired (sesame or poppy seeds). To bake these right, preheat the oven to 425. When you put the rolls in the oven, spritz the sides of the oven with water also to create some steam in the oven. Bake them for 10 minutes. 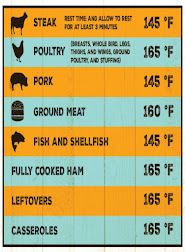 Then reduce the temperature to 400 degrees and bake them for another 20-25 minutes, depending on how large you make them. They should be golden brown and sound kind of hollow if you thump them. As with most baked things, these need to cool for a while before you eat them. Cool them for at least 30 minutes. It gives the crust a chance to form and also lets the center of the rolls set up a bit. It’s really important to cool these on a rack if at all possible. 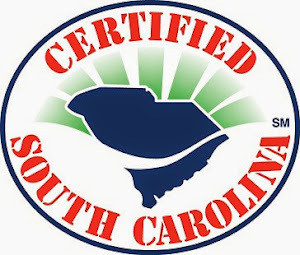 If you are not using them immediately, wrap each roll individually in plastic wrap, and place in a zip-top bag to freeze. When you want one, simply remove it from the freezer and thaw. 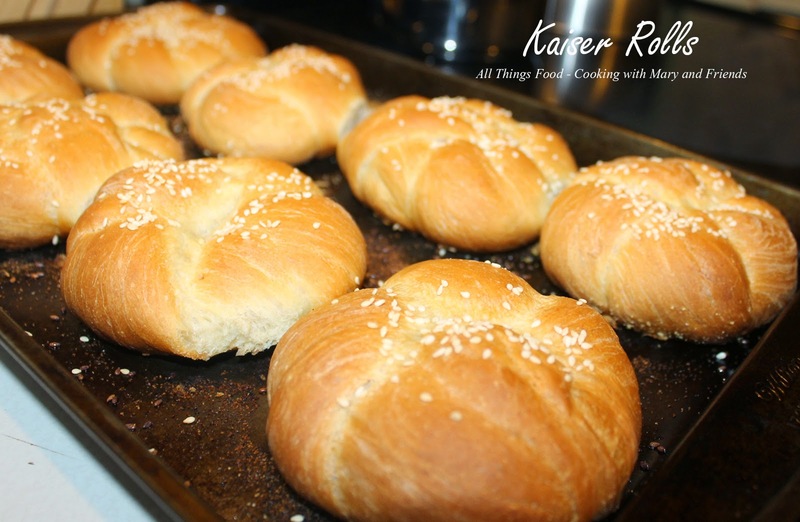 Kaiser Rolls freeze very well and will keep several months stored this way.